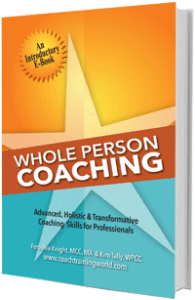 Your first step toward success as a professional coach is to enroll in an ICF Accredited Holistic Coach Training Program (ACTP) such as Coach Training World’s Whole Person Certified Coach training program. This critical decision not only positions you within the profession, it ensures you serve your clients at the highest capacity. In this second installment of our five-part series, we continue to examine the specific ways professional coach training can up-level your life and impact your future success as the go-to coach for your chosen tribe. If you missed part one: go here. Reason #2: Change for you… and your entire life. It’s not uncommon that people become professional coaches after working with their own coach. 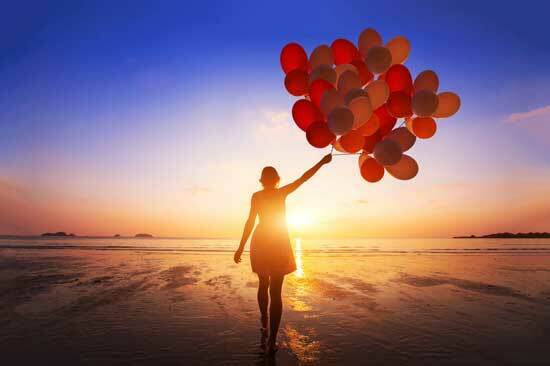 As clients, they experience firsthand the power and results coaching can offer. In turn, they naturally want to extend the same transitional capacity to others, often starting with their own family and friends. This brings to mind a former student of mine, Emily Shutt. Emily is a grief coach who pursued a coaching credential after working with a coach for only 20 minutes. Her intro to the world of professional coaching came after she received a promotion in her job as a consultant. In the session, she got the opportunity to work with an executive coach on a work-related challenge. Through the questioning process, her coach enabled her to tap into her own resourcefulness. Emily was able to solve a problem that had been plaguing her for months in just a few minutes. She began to explore different training options and chose Whole Person Coaching for its holistic, multimodality approach. Emily initially began coaching others around money, specifically financial empowerment for women. But after unexpectedly losing her 25-year-old brother, she changed direction and discovered the best place for her to use the tools of coaching in combination with her particular experience was within the grief space. So today she supports others as they work toward healthy expressions of grief. Each of us is unique, both in what we seek and in what we take away from the coach training process. Training to become a professional coach certainly allows you to create or expand your career or business options. But there’s a lot more to it than just that. You can expect to benefit from many if not all the following new skills and knowledge. I treasure the “ah-ha” moments – that look of revelation and inspiration on the face of a client or coach trainee when they discover something about themselves they had either forgotten or never even considered. Emily’s “ah-ha” moment came quick; from it she crafted a business that is both fulfilling and successful. We’ll explore how you can craft a career or business you will absolutely love in Part 3 of this series. But first, take a moment to figure out where you most desire change in your life by working through the following exercises. How can training to become a coach help you personally? Write down something you want to change in any aspect of your life. For example, a new job, new relationship, improved communications, better health, etc. Whatever you select, make sure it’s something of significant value to you if realized. Now imagine that part of your learning journey is to work on your own life. How does it feel to know you’ll not only be able to help others, you’ll also have the capacity to transform or level up your own life in the process? Pretty good I imagine! 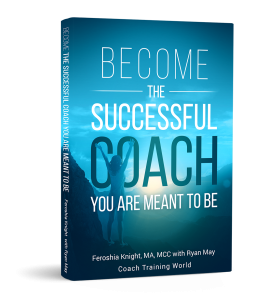 My new book, Become the Successful Coach You are Meant to Be, is a launch pad for entering the world of professional coaching. It’s a step-by-step guide that walks you through the process of cultivating sustainable change through holistic methods – change that begins with you! Packed with real-life stories, coaching tools and sample coaching sessions, you’ll learn how to take the experience and expertise you possess today and transform it all into a deeply rewarding career upgrade or business. Order your print copy here or download the ebook to your tablet or Kindle and get started immediately.